Today I want to get you more client referrals. 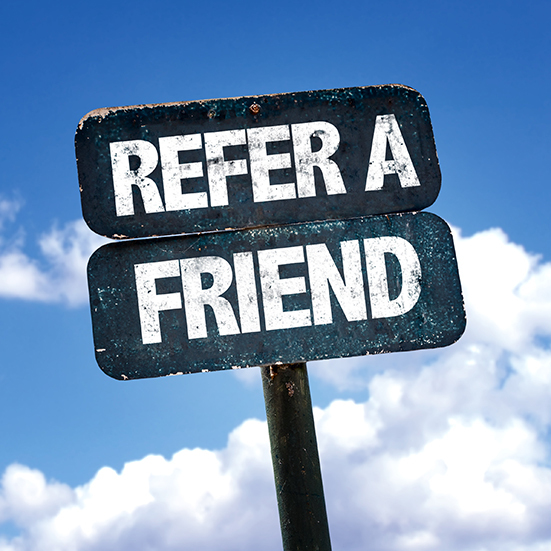 Because like I’ve always said: referrals are the most powerful marketing tool in your arsenal. And I REALLY want to stress that referrals don’t have to just emerge spontaneously in your business. You CAN and SHOULD be proactive and go seek them out. In fact, I even think you should systemize referrals so that they’re just as reliable as anything else in your business. After all, you can automate your email marketing, your social media marketing, and your content marketing so why should your referral marketing be any different? As I’ll explain in a moment, there are two main types of referral-getting and you can totally use both of them in your business. One of them is more of a science, and the other one is more of an art. Now I have to admit I slightly prefer this option over the second one because I’m always a fan of reliable systems. The first step to this whole process happens right when you sign on a new client. Whenever you sign on a new client, you want to have your lines ready for why referrals are important to you and why they, as a client, are expected to refer people to you. And you know what? You can just be totally honest with them here. Just tell them that you, the business owner, want to dedicate the bulk of your time, money and energy to improving your clients’ experience. You want to keep adding better equipment, keep expanding your facility, keep your trainers on the cutting edge of physiology, keep providing top notch nutrition, keep throwing special events for clients, and keep giving back to the larger community. HOWEVER, you can only afford to do all that if you keep your marketing costs low…so that’s why you need your clients to help out. The most important part about that argument is that it gives your clients something to gain personally by giving you referrals. Sure, some clients will do it just for the warm fuzzies, and plenty of clients will INTEND to do it (and later get distracted or lazy) but when you tie referrals into a personal benefit it just greases the wheels for them. Speaking of which, that’s the basic idea behind referral contests. Set a limited time period, then let your clients know that whoever wins will get a really sweet prize (like 6 months free training, a new piece of technology, etc.) and assign points to them based on who brings in the most converted leads. Note: you want to specifically reward them for leads that convert, not just any leads. Otherwise, they might bring in people who aren’t actually serious about training who will waste your time. Also, you want to make referrals a regular part of your yearly schedule. Probably once every 4-6 months is good. Experiment with this number to see what works best for you. Of course, if you plan on making referral contests a regular thing, make sure you DON’T ask the group for referrals in between contests. You don’t want your clients to feel like you’re pestering them for referrals. If you keep the referral requests confined to your contests, your clients won’t see them as intrusive. If anything, they’ll feel embarrassed for not participating. Now here’s the thing…everything I just described is fairly easy to implement once you already have a busy gym with a solid base of clients. However, if you’re just starting out, I recommend you focus more on the next method. First step here is to keep your ears open: listen to see if any of your current clients mention a friend or family member who also needs a fitness or health solution. By the way, everything I’m going to cover in this section can also be used to get in touch with community influencers, like I talked about last week. If you don’t overhear anything naturally, you can fish for possible referrals like this: at random points throughout the month, take each client aside and start the conversation by complimenting them on their recent progress. Make it specific. Then, ask them if they have anyone in their friends/family who might need your training. If they say no then you can let them off the hook, but if they say yes ask if you can have that person’s contact info and if your client can make an introduction. The important part there is the contact info. Even if you can’t get the introduction (or your client simply forgets) make sure you get the contact info. Then, whatever that contact’s particular fitness concern is, create a piece of content addressing it. This can be a blog post, video, newsletter – whatever form you are most comfortable using. 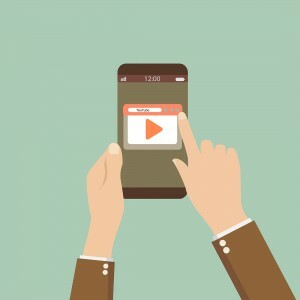 Next, offer that piece of content to the contact via phone or email. Don’t make an offer yet, just let them know you’re a local fitness professional and let them know to ask you if they have any questions. Finally, once you’ve gotten a response or given the contact enough time to check out the content, get in touch with them again with an offer for your training. Make sure you link back to the content again here, in case they forgot or didn’t look at it the first time. Oh, and if you haven’t already, make sure that content is public and make sure to blast it over social media. The fact that it’s so specific means it should do really well and get a lot of highly qualified prospects clicking on it. And there you go! You just crafted your own referral! And like I said: you can mix this strategy with the referral contest system I mentioned earlier. As long as you keep the referral crafting private and one-on-one, your clients shouldn’t feel like you’re hounding them. 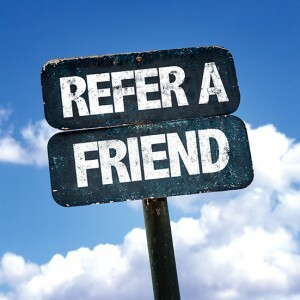 And, if anyone you approach one-on-one is nervous about giving up a point in the referral contest, just let them know you’ll roll over any in-between referrals to the next nearest contest.